What is your address/phone number/email address/fax number? What is SHA’s Affordable Housing? What affordable housing options are available for seniors? How do I contact my Housing Specialist? What is the estimated wait time for your programs? How do I apply for your programs? What happens after I apply for your programs? How do I add someone to my household? What do I need to do to move? How do I report that someone is committing fraud in one of your programs? What is the income limit for your programs? I'm having issues with my landlord, what do I do? What does my landlord need to do to be approved to accept Section 8? What's included in the Section 8 inspection? My landlord accepts Section 8, so can't I just get my voucher right away? I've had a change in income/household composition/expenses, what do I do? The actual name of the program commonly known as “Section 8” is the Housing Choice Voucher Program. It is a federally funded program that subsidizes rents for eligible participants who rent units in the private market. It is designed to assist very low-income families, the elderly, and the disabled to rent decent, safe, and sanitary housing. A housing subsidy is paid directly to the landlord on behalf of a participating family. Learn more about our Section 8 Program here. Public housing was established by the U.S. Dept. 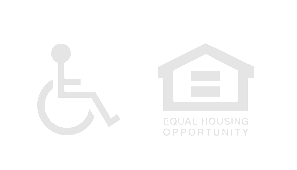 of Housing and Urban Development (HUD) to provide decent, affordable and safe rental housing for eligible low-income families, the elderly, and persons with disabilities. HUD provides federal funding and technical assistance to Salem Housing Authority (SHA) and other local housing agencies to administer the program. SHA owns and manages over 200 rental units located throughout the Salem-Keizer area. Most units are 3, 4 & 5 bedroom townhouses with a limited amount of 2 bedroom units. SHA is responsible for all aspects of lease enforcement, setting fees and charges, and maintaining decent, safe, and sanitary living conditions. Learn more about our Public Housing Program here. SHA has 5 properties that are considered affordable housing; the rents are set lower than typical rents in the Salem area. Two of our sites have rents based on income: Robert Lindsey Tower and Englewood East Apartments. The other two are affordable, flat-rate rent; Southview Terrace Apartments and Englewood West Apartments. Learn more about senior housing here. Seniors are also eligible for the Housing Choice Voucher program. Workloads are assigned by alphabet for the Section 8 department and by property for Public Housing. Visit the contact page, call us at 503-588-6368, or email at housing@salemhousingor.com. You can also ask our front desk staff when you come into the office. Our caseworkers strive to return all calls within in 48 hours. If you’re unable to reach your Housing Specialist by phone you can email them directly, come into the office and leave a written message, or come in and see them during their walk-in hours. Wait times fluctuate daily. We are currently unable to estimate wait times for our Section 8 programs. All applicants will be processed as funding and resources are available. For all other programs or properties please call our offices for the most current wait times. Navigate to our Apply Page to learn about our programs and apply for your program(s) of choice. You may also fill out an application in person at our office. If you applied online you will receive an application ID, which is your confirmation that you applied. Within 2 weeks we will have your application in our system. If you applied using a paper application you will receive a confirmation letter with the estimated wait time by mail once we have entered your information. We will notify you by mail when your name is approaching the top of the list. Since all of our contact with waiting list applicants is by mail, it is important that you keep your address updated with us. If you have a change in address, phone number, family status, or become disabled or elderly (age 62+), please notify us promptly in writing with our update form. Flyers with common services are available at the front desk. All updates to household information need to be submitted in written form. Please use our update form for all changes and return it online or by email, fax, mail or bring into the office. If you are a Housing Choice Voucher participant and wish to add a family member, your current landlord must agree to this change. Please complete the Add a Family Member Packet and return it or mail it to the SHA office. If you have completed the first year of your lease with your landlord, you need to put in a written request to your Housing Specialist for a move appointment to start the move process. You can email this request directly to your housing specialist or to our general email housing@salemhousingor.com, mail it to our office, or come into the office and write it on a message form. If you have not completed the first year of your lease and would like to move, please complete the application to move within the first year and return it to our office. These reports can be emailed to SHA at housing@salemhousingor.com, mailed, or put in writing at our office. We ask that you include as much information as possible. We are not able to follow-up on the outcome of these reports due to confidentiality. Each program has it's own income limits and counts your income in different ways. Any income limit should be used as an estimate and you may or may not qualify if you are close to the income limit. For specific details visit the page for each program under the Programs section of this website. SHA does not provide assistance in matters of landlord/tenant relations. If you need assistance with a legal matter you can contact Legal Aid Services of Oregon at (503) 581-5265. If you are being unfairly evicted, harassed or refused housing, you can contact Fair Housing of Oregon at (800) 424-3247 x2. Landlords do not need to be pre-approved to participate in the voucher program. The unit must be in the city of Salem/Keizer city limits, be within your allotted rent limit, be considered to be rent reasonable and pass an inspection. Visit the HUD website here for more information about inspection requirements. Unfortunately you must still wait until you come to the top of the housing choice voucher list and meet our eligibility requirements to use a voucher. Also, all landlords now accept Section 8 vouchers; it’s the law in Oregon as of July 2014. These changes need to be reported to SHA in writing; you can email this information directly to your Housing Specialist, our general email housing@salemhousingor.com, mail it to our office, or come into the office and write in on a message form.